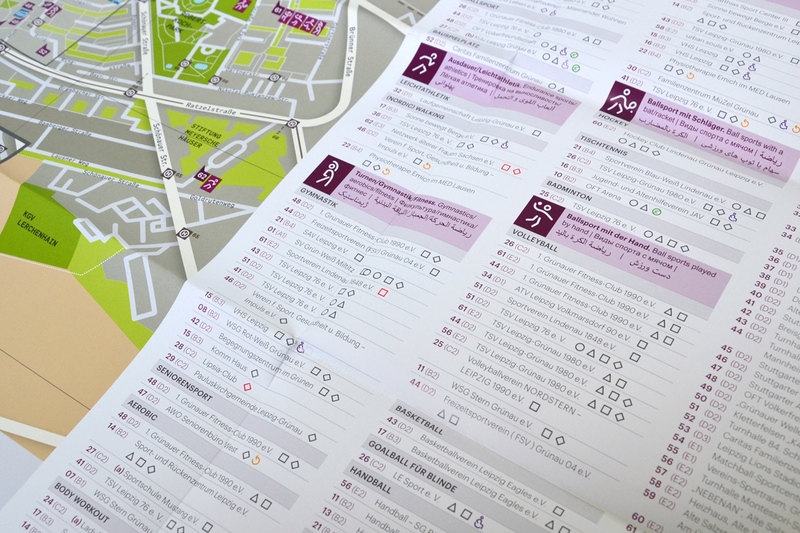 The »Bewegungsplan Grünau« gives an overview of organized and public sports facilities in Leipzig Grünau. 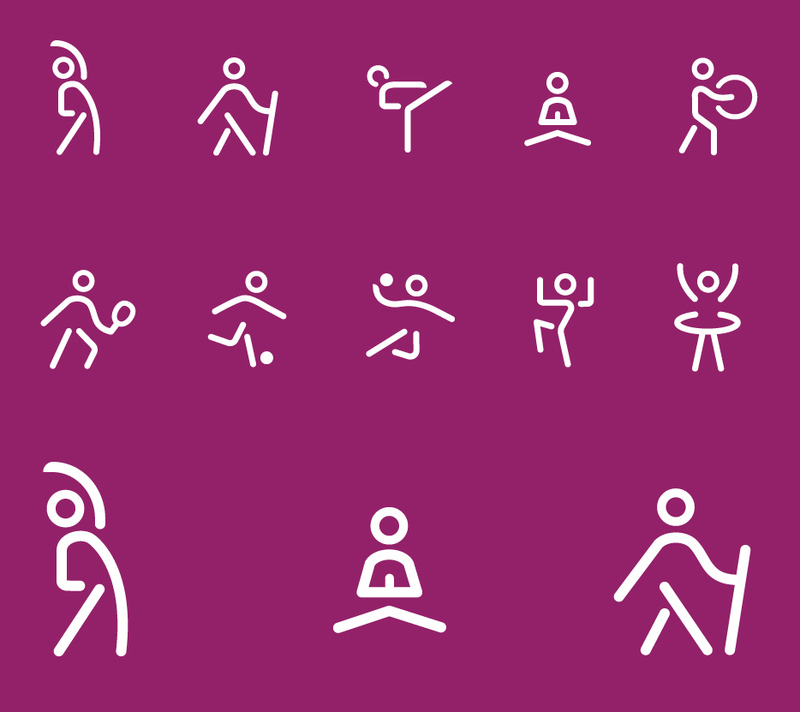 The sports facilities are classified according to location, sports, provider and target groups. 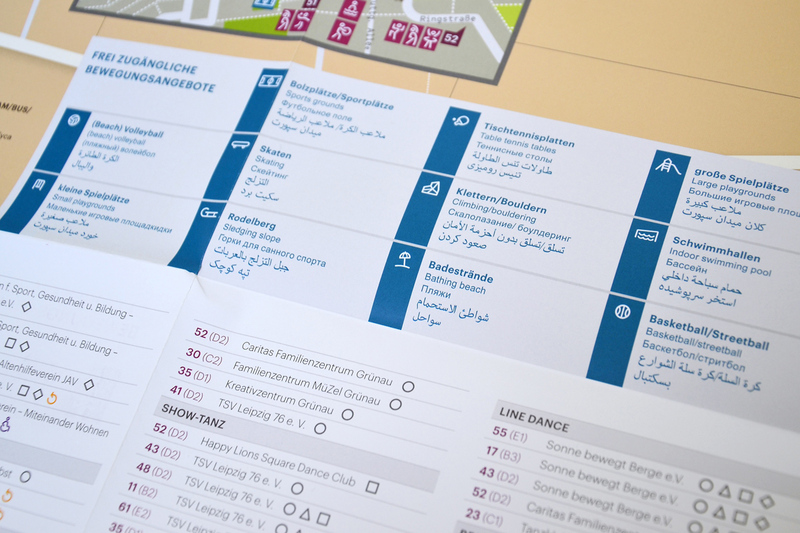 The offerings in the single locations are marked by individually constructed pictograms in a map. 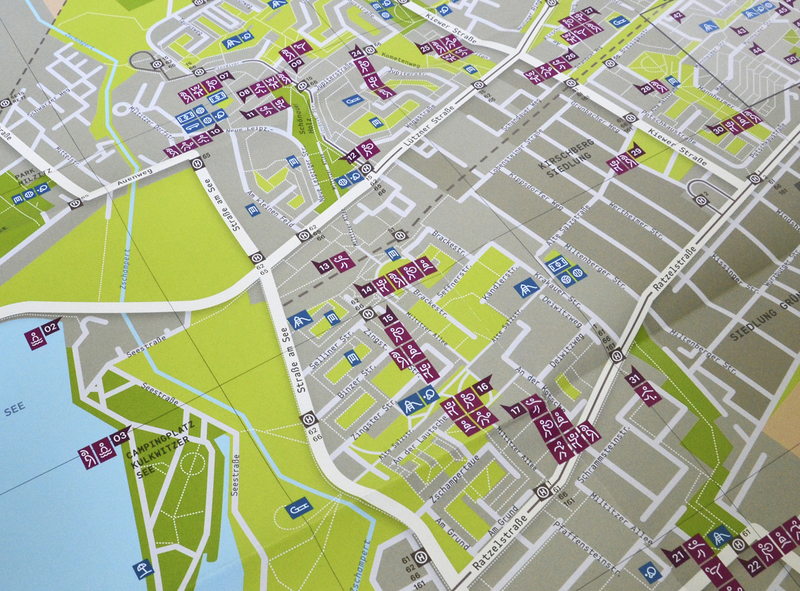 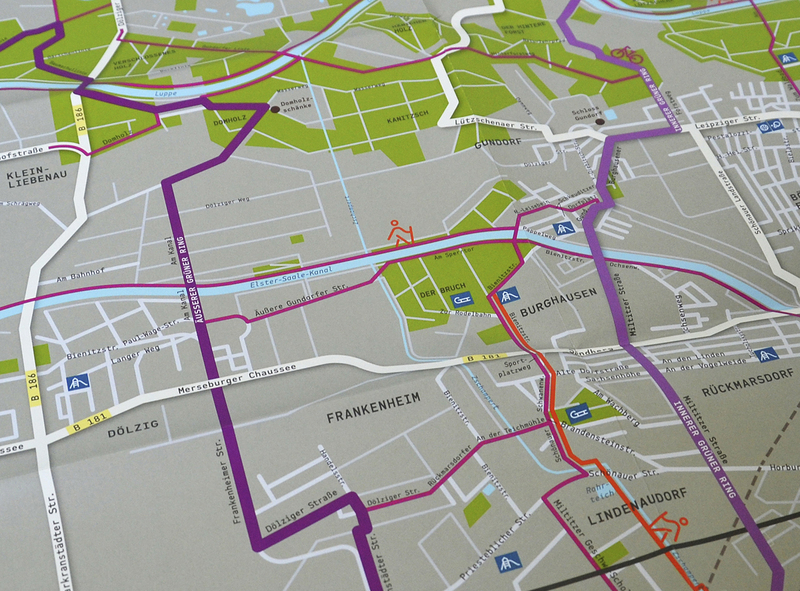 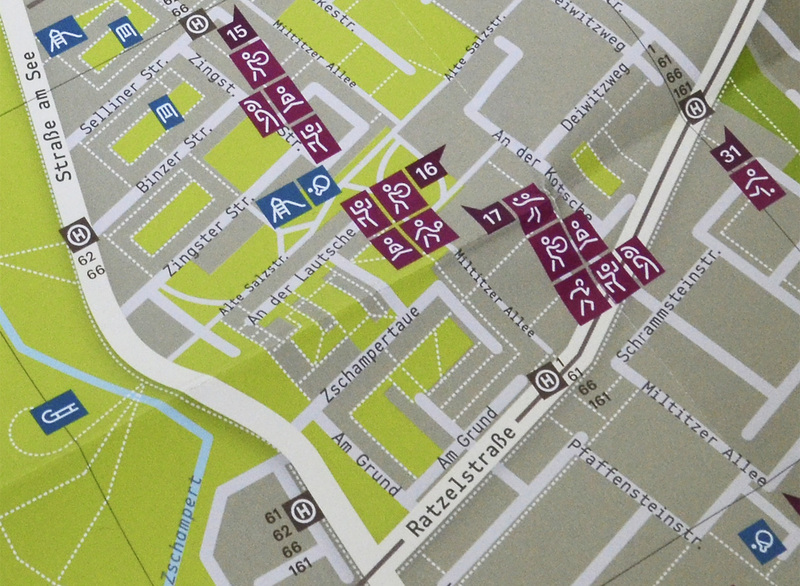 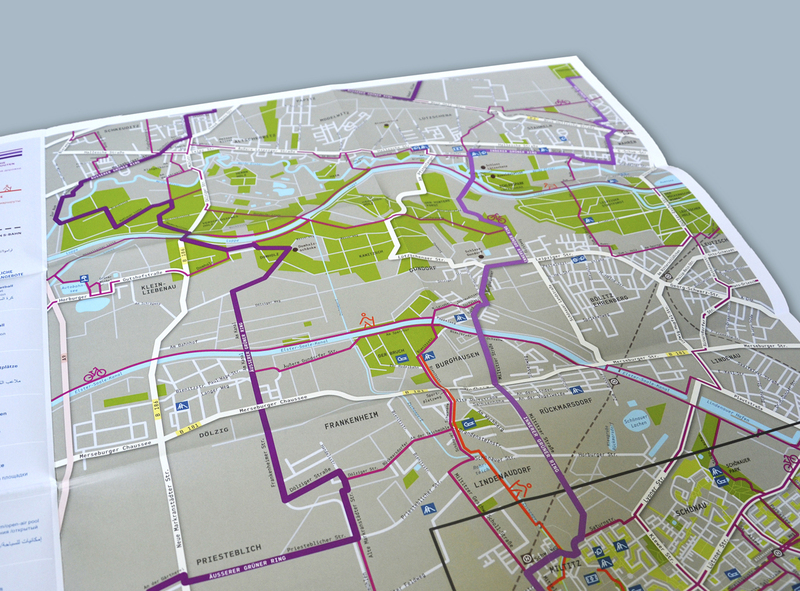 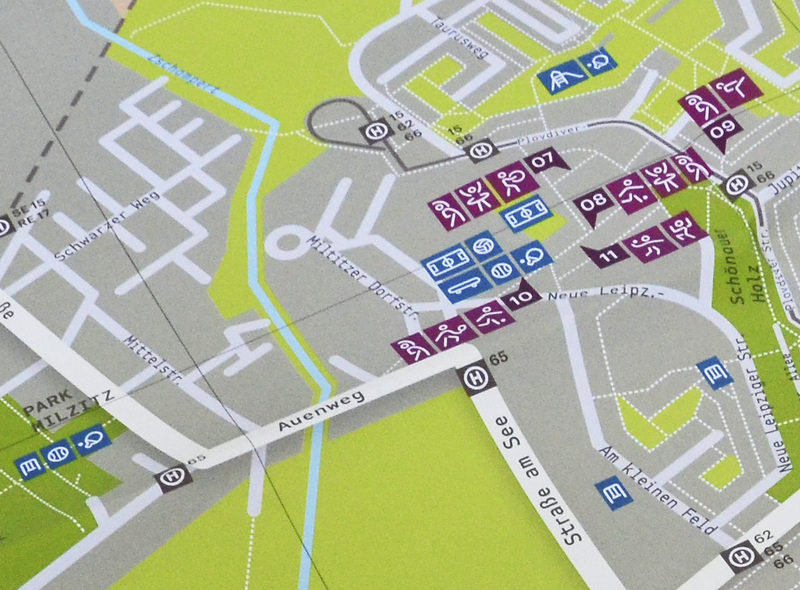 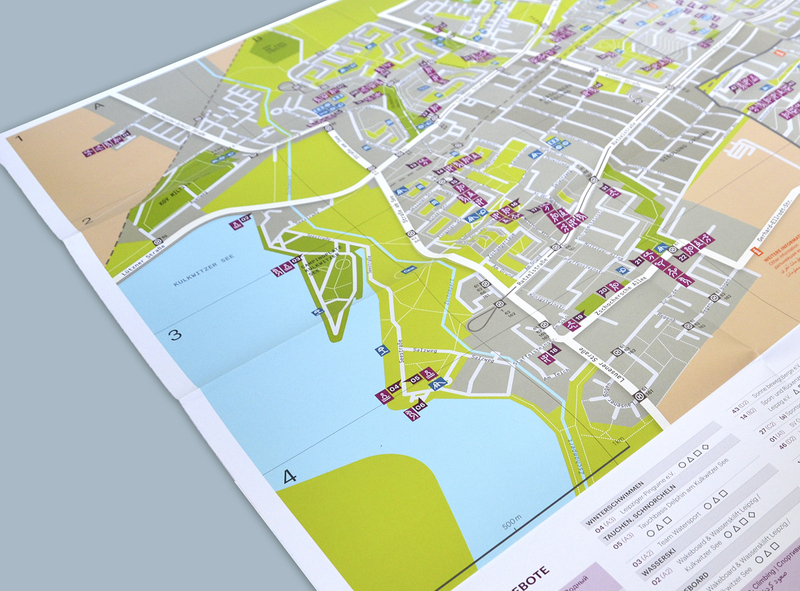 A second map shows cycling and running routes in a bigger area. 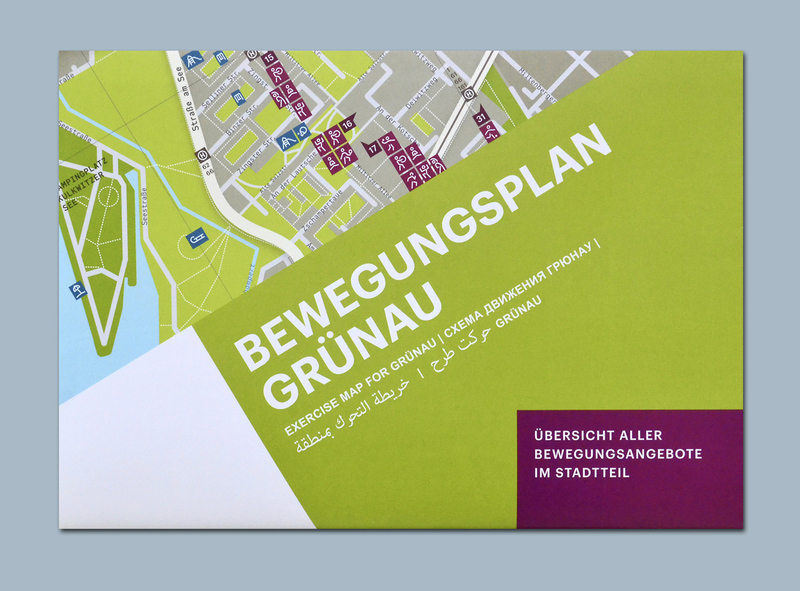 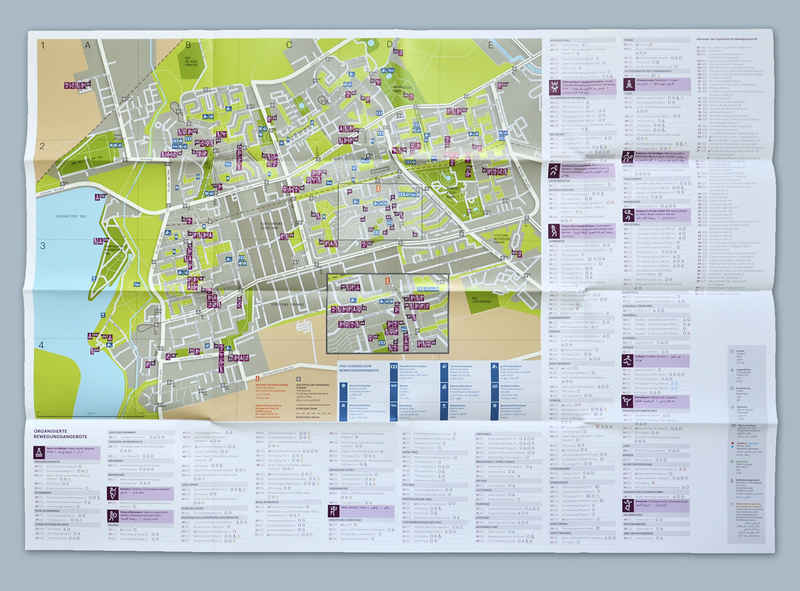 The exercise map was produced in cooperation with the City of Leipzig and is multi-lingual (German, English, Russian, Arabic, Persian).